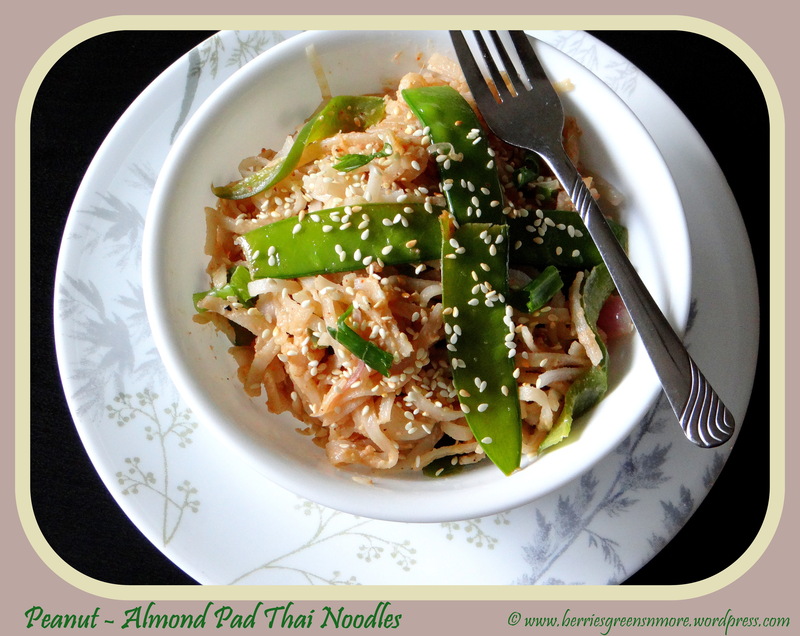 The Peanut – Almond Pad Thai Noodles is a simple quick dish to make. This recipe requires very less ingredients and most of them would be available in your home pantry. The vegetables, sauces/ butter and flat noodles all stir fried on heat gives the noodles the perfect texture and creaminess from the butter. Peanut and Almond butter add amazing flavors. The roasted sesame seeds add the crunchiness and necessary protein and fiber. 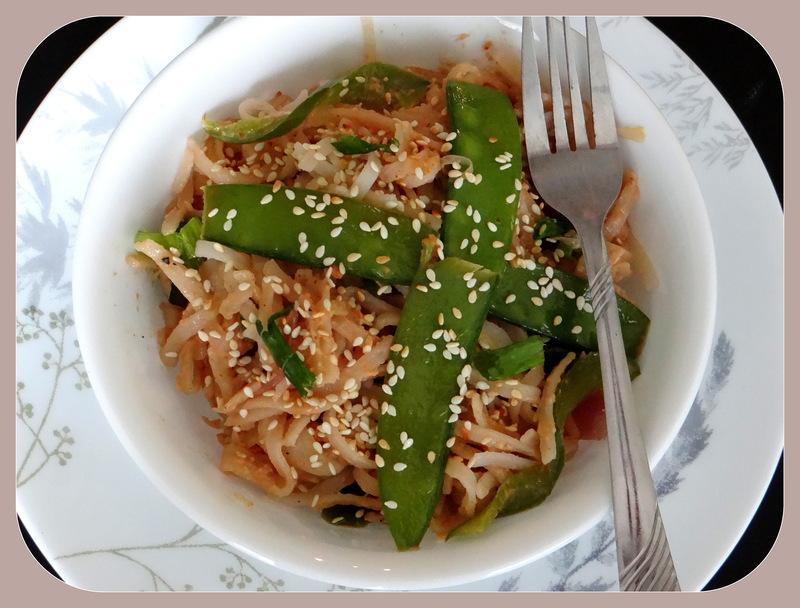 You can alter your taste buds and enjoy cooking and eating this yummy Peanut-Almond Pad Thai Noodles. 1. Boil the noodles as per the packet instructions. I have used the following brand. 2. 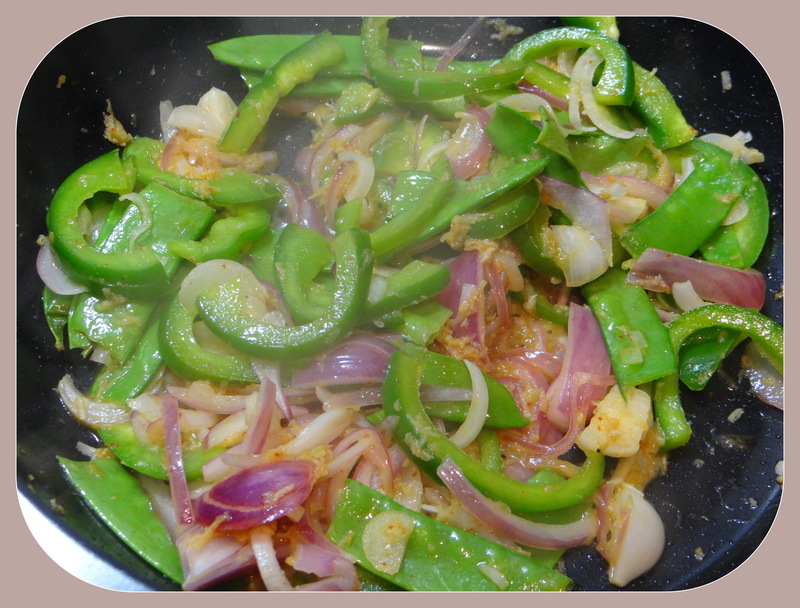 In a deep bottom pan add olive oil. When the oil heats up add the grated ginger and garlic and saute/ stir for 1 minute till all the flavors get infused in the oil. 3. 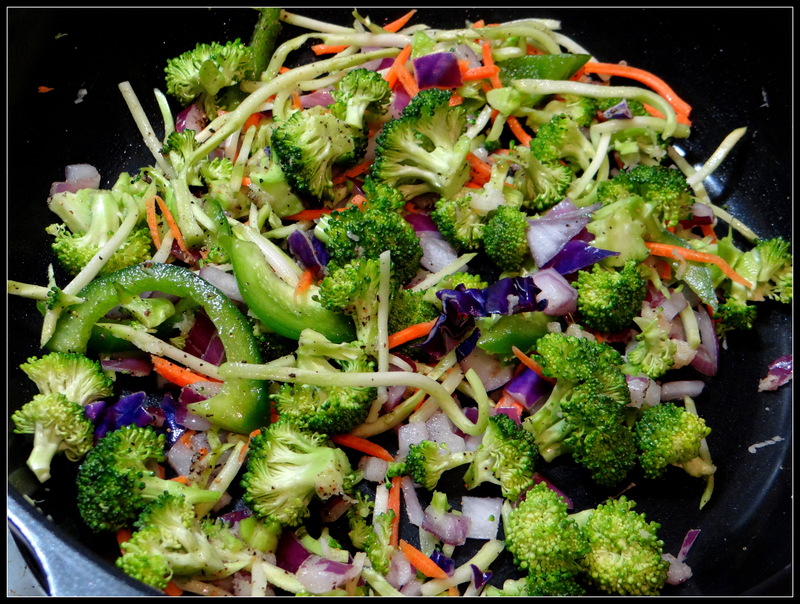 Now, add the all the veggies, salt, pepper and saute/ stir for 2 to 3 minutes on medium heat till the veggies are half cooked. 4. Add the peanut and almond butter with 2 tablespoon of water and saute/ stir for 2 to 3 minutes. 5. 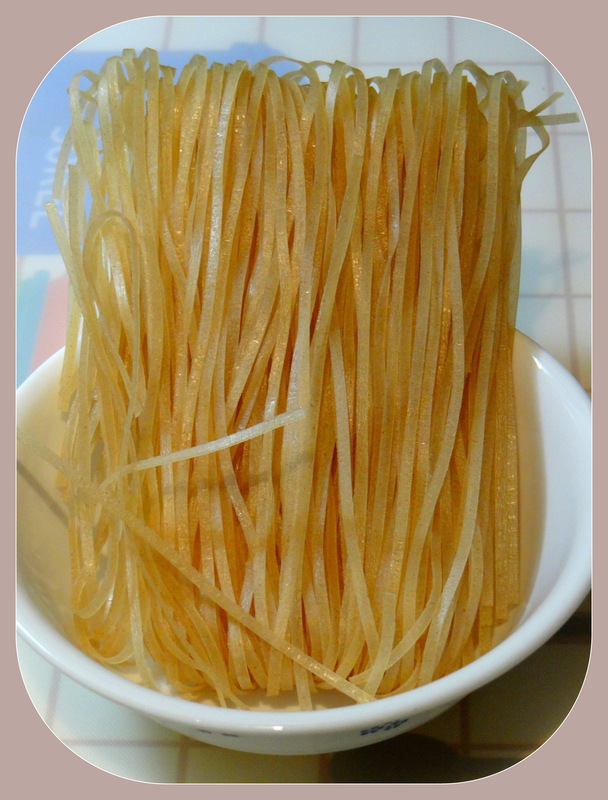 Now, add the lemon juice (alternative to vinegar) and liquid aminos (alternative to soy sauce) and immediately add the boiled noodles. 6. Mix well and cook for just 1 minute more. Switch off the heat. 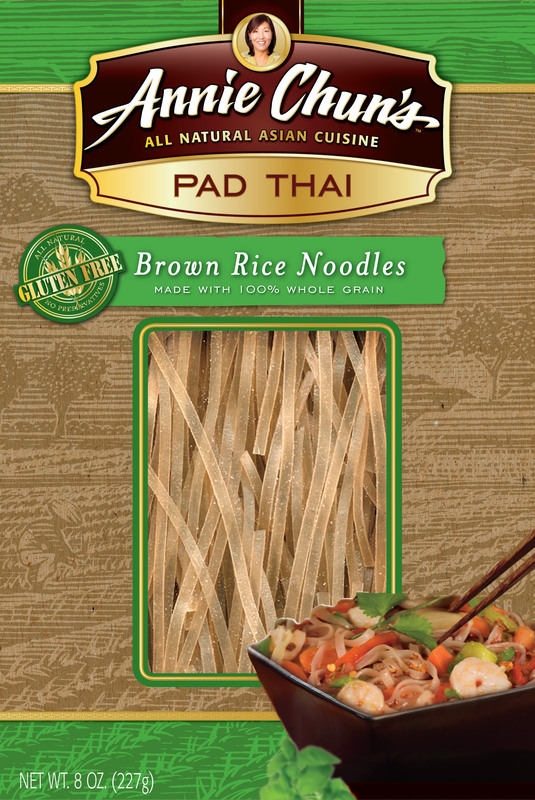 You can use any type of Pad Thai noodles. 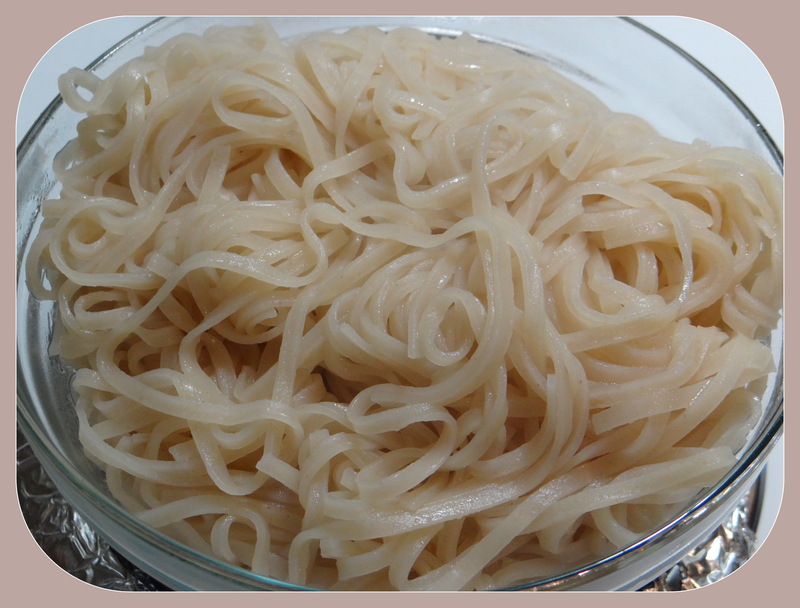 I have even made the same recipe with whole wheat pasta and it taste super delicious. Liquid aminos is a great alternative to regular soy sauce. Since they are made with naturally occurring sodium from soybeans. 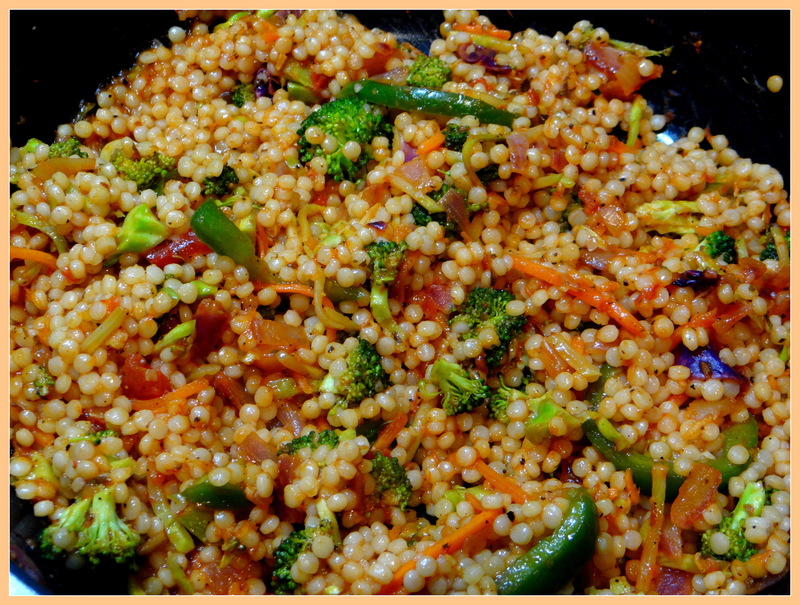 In this version of pasta, I have used Israeli couscous, which is a small variety of pasta but looks like a grain/ tapioca/ sabudana. This variety of pasta is delicious as a main course when loaded with vegetables and pasta sauce. I have tried the same recipe with pesto sauce and it taste delicious. 1. To prepare the couscous pasta, first boil the couscous as per the packet instructions. 2. 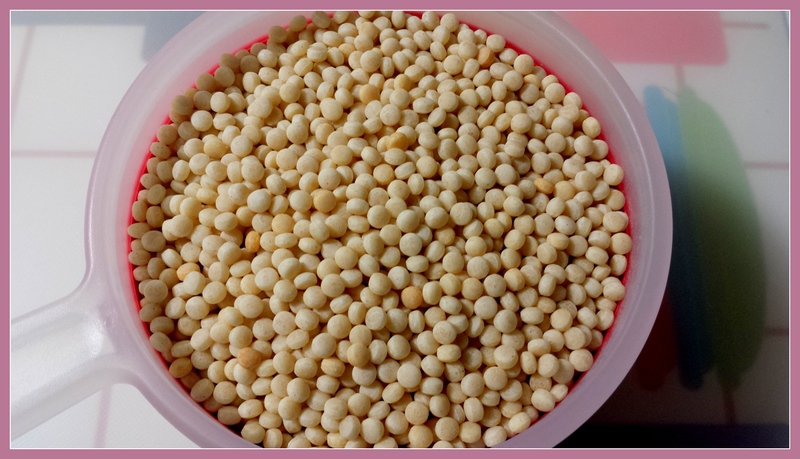 The above is the pic of the dry couscous before cooking. 3. 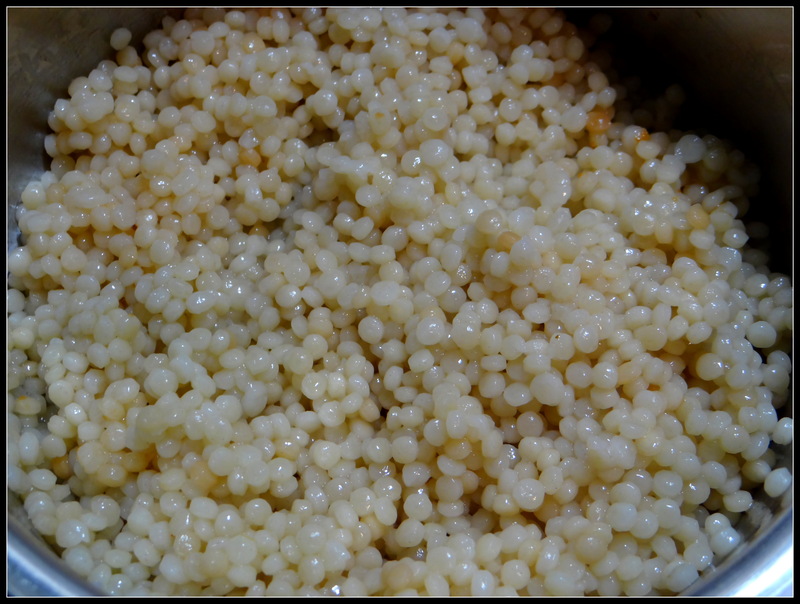 The above is the pic of the couscous after cooking. 4. 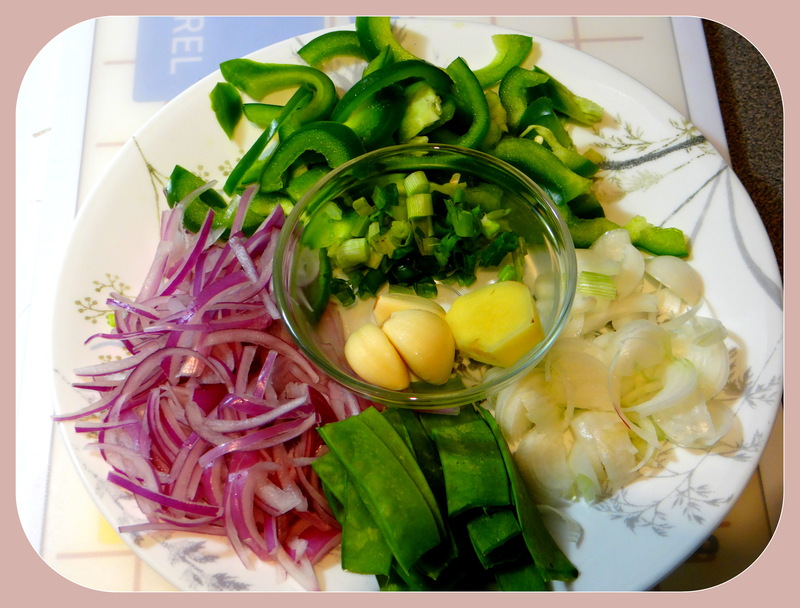 In a deep pan add 1 tablespoon of oil and add finally grated / chopped garlic and stir for 1 minute. During this process the garlic flavors the oil well. 5. 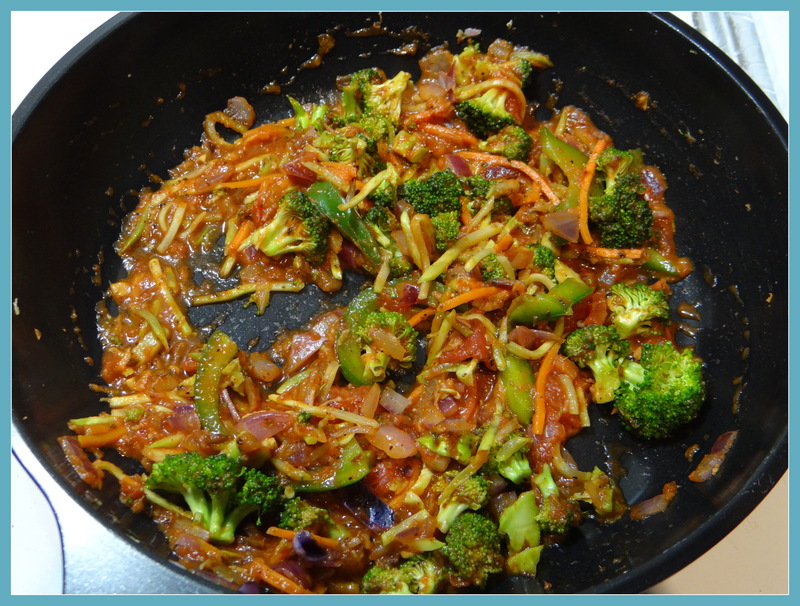 Now, add in the vegetables and stir fry for 2 to 3 minutes till the vegetables are almost half cooked but still retains its crunchiness. 6. Add in 4 tablespoon of pasta sauce, herbs, pepper and salt. Stir for 2 minutes. 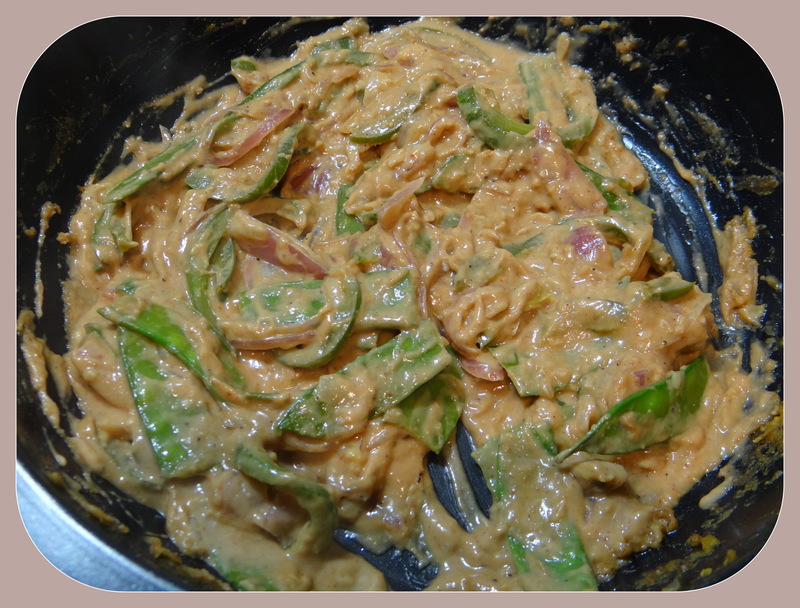 At this time if the sauce is dry, you can add few tablespoon of water. Do a taste test to see, if the salt and pepper is fine. 7. 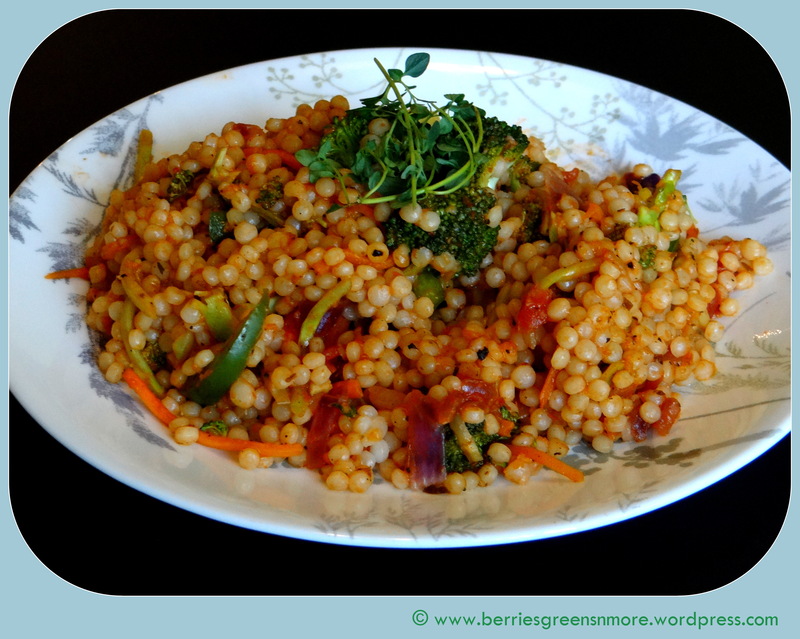 Now, add in the cooked couscous and mix well. 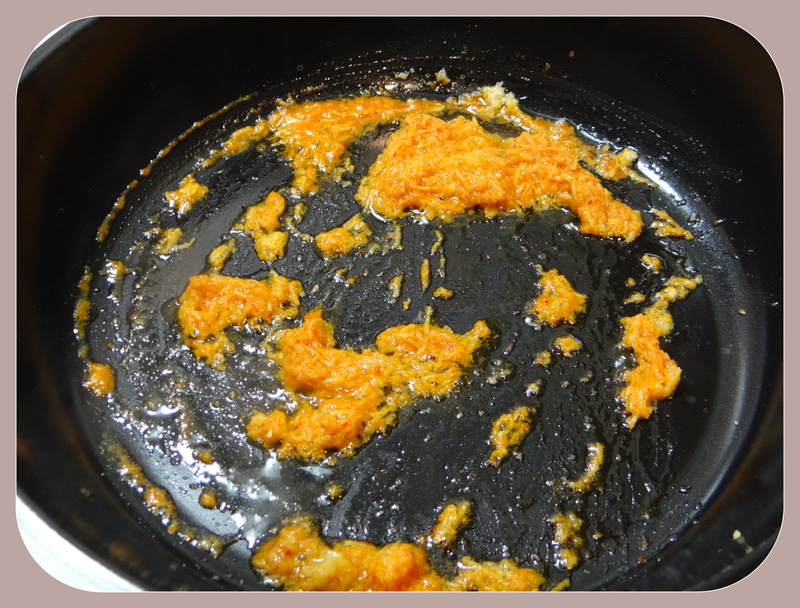 Sprinkle some nutritional yeast/ parmesan cheese and serve Hot. It’s a meal in itself. 1. Feel free to use any type of pasta for the same recipe. 2. Nutritional yeast taste like cheese and can be a healthy substitute to regular cheese which is loaded with calories. Nutritional yeast is a good source of protein. 3. You can add in as many vegetables you like. 5. I would be posting soon the recipe of my homemade pasta sauce.